This book is a product of two important changes in U.S. agricultural conservation policy: (1) the advent of the environmental movement and (2) major increases in funding for U.S. Department of Agriculture (USDA) conservation programs. For decades, the primary purpose of agricultural conservation programs was to improve the productivity of U.S. farms and ranches and to protect the “natural resource base” that sustained the agricultural enterprise. In the past 15 years the environmental agenda—water quality, air quality, biodiversity, among other objectives—has superseded traditional objectives as the primary purposes of agricultural conservation programs. This change in goals, in my view, is the most important development in U.S. agricultural conservation programs since their inception in the 1930s. This change in purpose has been accompanied by a very large increase in funding for U.S. Department of Agriculture conservation programs and a new emphasis on improving the environmental management of working farms and ranches. Departmental conservation programs now account for expenditures of more than $4.5 billion a year, nearly double what was spent annually for those programs prior to the 2002 farm bill. Demands to document what taxpayers’ are getting for their investment in conservation have increased hand-in-hand with the increase in funding. These two policy changes create an urgent need to retool conservation practices, programs, and policy to meet the environmental challenge and to improve our ability to quantify, or at least simulate, the effect conservation practices and programs are having on environmental outcomes Both of these needs can only be met by retooling and building our science base to inform environmental management in agricultural landscapes. This book is intended to be a first step toward retooling and building that science base by documenting what we know and what we don’t know about the effect current conservation practices applied to cropland have on the environment. Our goal was to consolidate current scientific knowledge to (1) immediately enhance the effectiveness of conservation programs and (2) make strategic decisions about strengthening our science base in the future. Our task proved more difficult than anticipated, but also more rewarding. After reading these chapters, I am left with a greater sense of optimism that we can achieve our ultimate objective—enhancing productivity, sustaining our resource base, and improving the environment simultaneously. Clearly, we know much more than we are using on a day-to-day basis to improve environmental quality in agricultural landscapes. We could increase immediately the effectiveness of our efforts by wider and sustained application of the knowledge of practice effects and interactions contained between the covers of this book. A more intensive effort to translate science into practice would pay large dividends for taxpayers, agriculture, and the environment. The benefit, for example, of more precise targeting of conservation practices emerges in these pages as perhaps the biggest short-term opportunity to increase the effectiveness of our efforts. Where conservation practices are placed on the landscape appears to be as important to determining environmental effects as which specific practices are applied. Translating what we currently know into more effective tools for targeting effort and investing more in research and development to produce and deploy more effective tools should, I think, be a high priority for policymakers, research leaders, and program managers. Finally, it is clear that we have in hand conservation practices and systems that, if applied effectively, produce real and meaningful environmental benefits. Those practices and systems are the “low-hanging fruit” that, if harvested, would accelerate production of the environmental benefits agriculture needs and taxpayers want. There are many more reasons for optimism contained in this book—too many to list here. But there also is ample evidence of the magnitude of the challenge we face and the imperative of making strategic investments now to improve our ability to meet that challenge. I hope this book helps to improve conservation science, practice, programs, and policies. Most importantly, I hope this book is just the beginning—a helpful contribution to a strategic, coordinated, and effective effort to meet the environmental challenge confronting our nation’s agriculture. In 2004, as an adjunct to the Conservation Effects Assessment Project (CEAP), U.S. Department of Agriculture officials asked the staff of the Soil and Water Conservation Society to undertake a comprehensive literature review as a means of documenting the environmental effects of incorporating conservation practices into agricultural operations. The prime objective of this effort was to construct a scientific foundation for the CEAP initiative by documenting what we know and don’t know about the environmental effects of putting conservation practices on the land. Through CEAP, departmental officials hope to quantify the environmental benefits of conservation efforts more rigorously than in the past. The first phase of the work by Society staff was to focus on what effects conservation practices applied to cropland might have with regard to four environmental outcomes: water quality, soil quality, water conservation, and air quality. The Wildlife Society simultaneously undertook an assessment of cropland conservation practice effects on fish and wildlife habitat. Subsequent assessments were to look at practice effects on grazing land, wetlands, and other land uses. A decision was made to divide the assessment into five basic conservation systems—soil management, water management, nutrient management, pest management, and landscape management—then subdivide each of those conservation systems into two basic cropping systems—rainfed cropland and irrigated cropland. A lead author was then selected for each chapter—based on the demonstrated capability and expertise of that individual to deal with the assigned subject matter. Each lead author was given the discretion to recruit co-authors. Positive and/or negative environmental effects on water quality, soil quality, water conservation, and air quality, in that order. Interactions and potential tradeoffs among conservation practices, systems, and environmental outcomes. Key factors driving the magnitude and direction of environmental effects, interactions, and tradeoffs. The degree of confidence that could be accorded the documented environmental effects. Critical gaps in knowledge that called for additional research. To achieve some consistency among chapters, authors were given a standardized outline to follow. A workshop, held in January 2005 to review and critique initial drafts of chapters, involved authors and peer reviewers (who also reviewed subsequent manuscript drafts). At that workshop, participants opted to forego the rain-fed versus irrigated cropping system division except in the case of the chapters on water management practices. Their rationale was simply that too much duplication would be introduced into the various chapters if the division were retained. A later decision to split the pest management practices chapter into two chapters—pesticide mitigation and integrated pest management—was based on unrelated factors, including a change in authors. Workshop participants also agreed on a “division of labor” among the chapters with respect to the conservation practices covered (see list on page x). All conservation practices commonly applied to cropland and for which the Natural Resources Conservation Service had established a national standard were divided among the five subject areas—soil management practices, water management practices, nutrient management practices, pest management practices, and landscape management practices. A few practices were placed in multiple chapters because authors felt compelled to cover those practices to achieve the degree of comprehensiveness requested. Authors also were allowed to add to the list practices for which no national standard exists to accommodate innovation and new technologies. The project proved to be a real challenge for authors, reviewers, and editors. Literature searches proved especially difficult, in part because of the volume of published information available on certain conservation practices and in part because of the lack of published research on other practices. Also difficult was the location of so-called “gray” literature—those extension bulletins, technical notes, and other materials regularly issued by agencies and academic institutions. In the end, much of that material was ignored. So, for what it is worth, here is the final product of this ambitious undertaking. Shortcomings likely are obvious. At the same time, project participants pulled together an enormous amount of material relating to the environmental effects of putting conservation practices on cropland, material that should prove useful to conservation policymakers and practitioners alike. Society staff members thank the authors and reviewers for their significant contributions to this effort. Thanks also are due officials of the U.S. Department of Agriculture’s Agricultural Research Service and Natural Resources Conservation Service who supported the effort financially and otherwise. Schnepf, M., and C. Cox, eds. 2006. 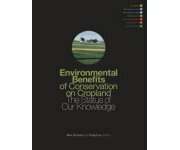 Environmental Benefits of Conservation on Cropland: The Status of Our Knowledge. 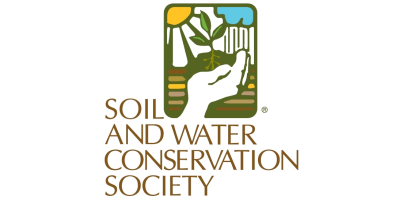 Ankeny, IA: Soil and Water Conservation Society. No comments were found for Environmental Benefits of Conservation on Cropland. Be the first to comment!